These knives can be framed and put on the wall or used as regular knives – you simply can’t go wrong with this gift idea! Razor-sharp stainless steel blades are perfect for precise cutting. 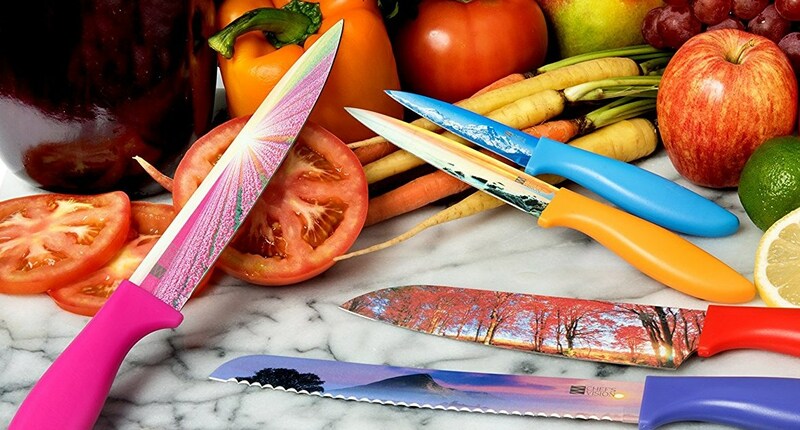 Non-stick multicolor coating helps to release thin slices and sticky food after slicing, making these knives ideal for a wider range of chopping tasks. Looking for a funny unusual gift? 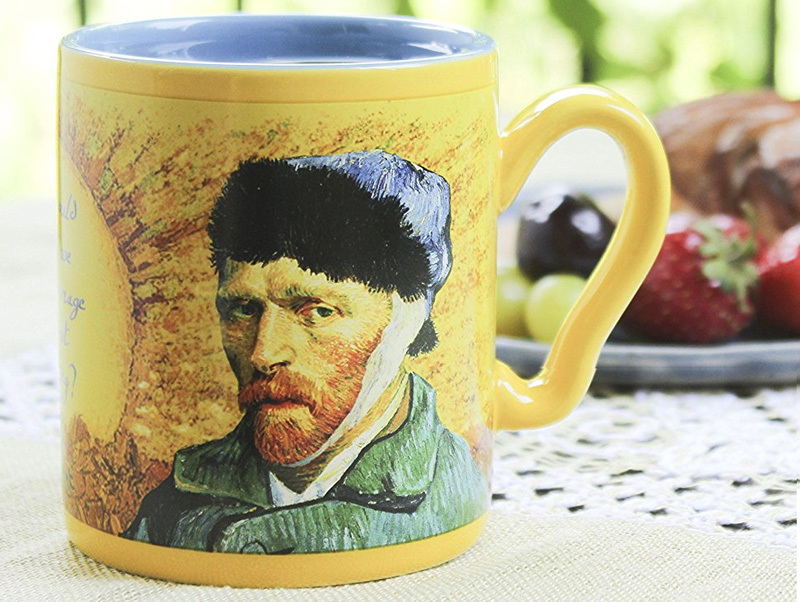 DisappEARing Van Gogh Mug features a classic self-portrait of Van Gogh, and when you pour in a hot beverage Vincent’s ear magically vanishes before your very eyes. This mug comes in an attractive gift box and makes a wonderful and touching gift for your love interest, your best friend, or your artistic rival. 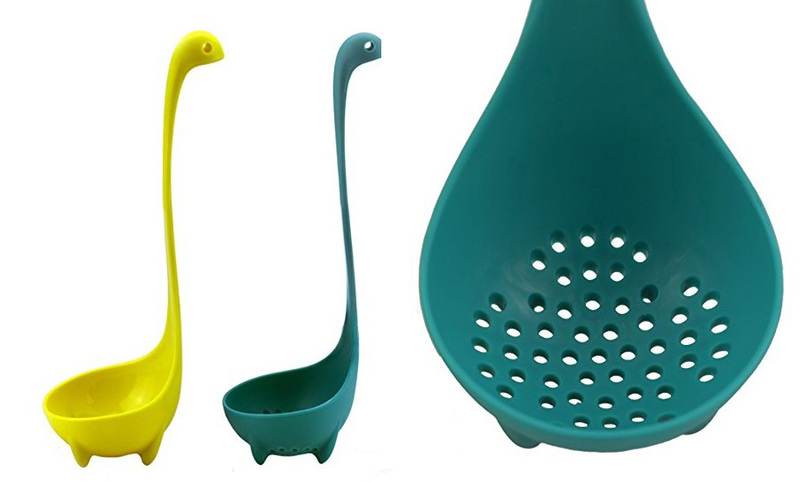 These cute Nessies will make cooking fun again! Finally, a ladle that can stand on its own – every cook’s dream! Innovative 8-in-1 kitchen utensil – Meet your essential kitchen equipment with this awesome multifunction smart scissor-style food cutter or food slicer that comes with the built-in cutting board. 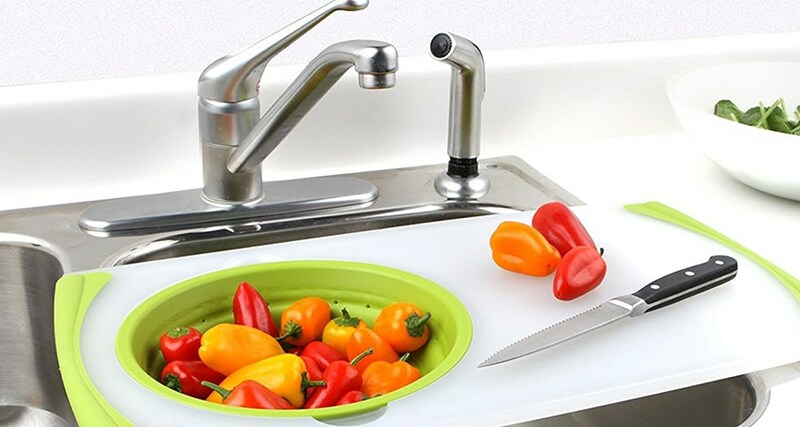 Slice chop even bigger fruits and vegetables like onion, potatoes, or apples like a pro without the need to take out your chopping board, peel effortlessly or use it as bone crasher fish scaler or Bottle Opener. Open your fine bottle of wine with elegance! While other Wine Openers are made of cheap materials and have pieces easily falling apart, the MR. SPLENDOR Rabbit Corkscrew is constructed of durable, solid, high-quality zinc alloy material which means that this is the last wine opener you will have to buy! 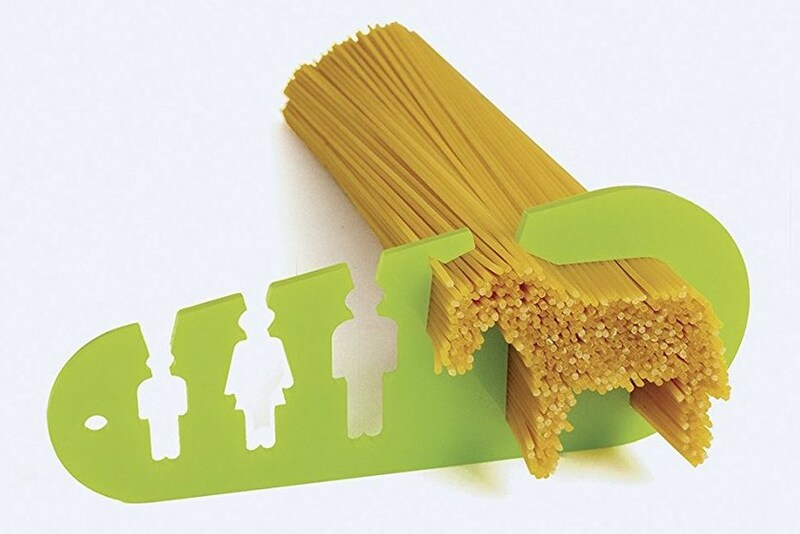 Of all the decorative and fun kitchen utensils you’ve purchased, this one could become your kids’ favorite. It’s sturdy, properly sized, and does the job that it’s supposed to do. Plus come on! 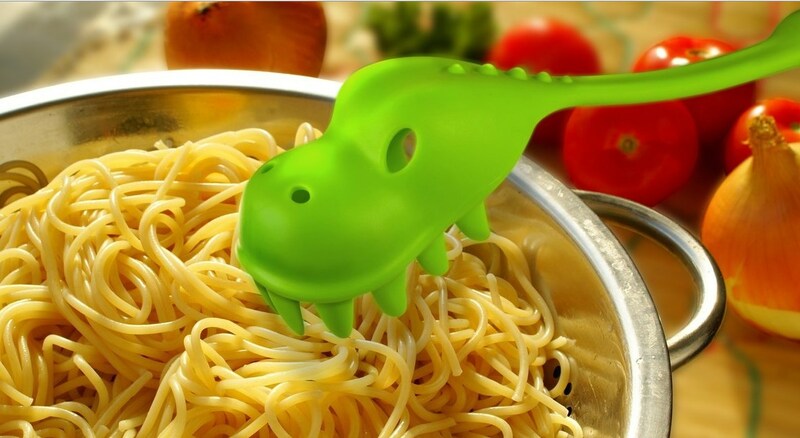 It’s a Pastasaurus! Fred does a fantastic job of scooping up all kinds of pasta, from tortellini to spaghetti to macaroni. Who doesn’t love dinosaurs? Drain liquid away from your pasta with holes representing the eyes and nostrils. Are you planning to do some hiking soon? Don’t forget about basic necessities like this ONORE CAFFE manual Grinder. It is the only stainless steel manual coffee grinder with a Unique Screw Patent that prevents the handle from falling off while grinding, making it more stable and easier to grind. 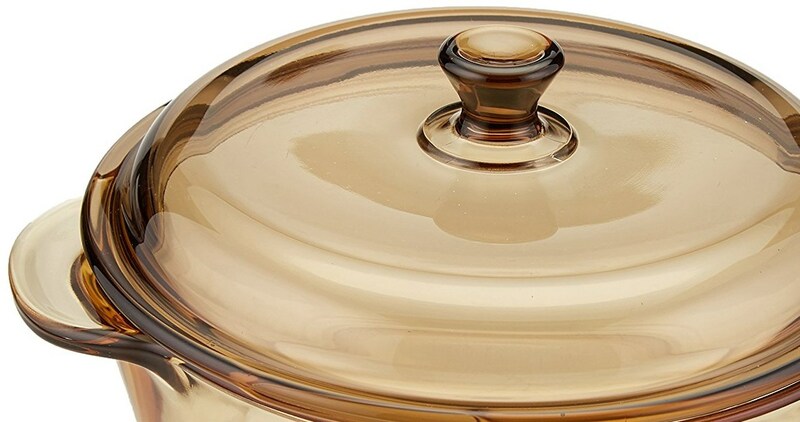 It is completely made of High-Quality stainless steel 304 (18/8), body, handle and knob. How can you even think about enjoying the nature without a cup of coffee? Lightweight and portable, this grinder is great for home, office, travel, picnic, camping and other outdoor activities. It is completely silent compared to the electric grinders and no batteries or power is needed. Just get it and put a checkmark in your packing list! Makes a fun gift for a Millennial outdoor enthusiast. 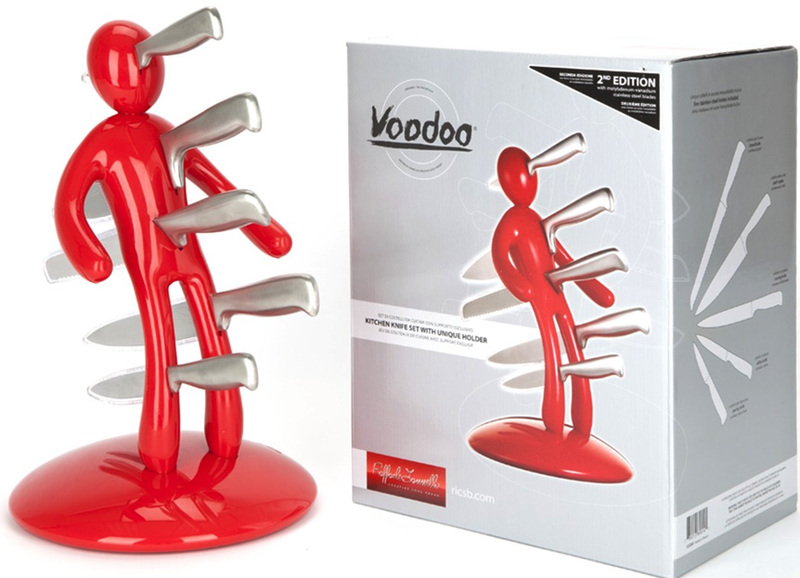 If you crime scene hot pot holder above is not fun enough, try one of the weirdest kitchen gadgets like this knife set. Are you tired of watching TV? Here is a new activity for you – watch your food as it cooks. It is made of a clear non-porous glass-ceramic material which won’t absorb food odors or flavors or react with acid-based foods. Another reason to get it – glassware is very safe for cooking. No chemicals will be leaking into your food – how cool is that! This “must-have kitchen tool” is designed for Arthritic Hands. Effortlessly slice open hard-to-open sealed packages with the built-in blade function. Open water and soda bottles smoothly. Pop caps off bottles instantly with the bottle opener function. Easily twist off screw caps with a simple twist. Clamp down on food seals to instantly remove pull tabs. Remove a variety of lids from your favorite foods. Hook onto sealed canned foods to simply peel back the metal tab saving your fingers. 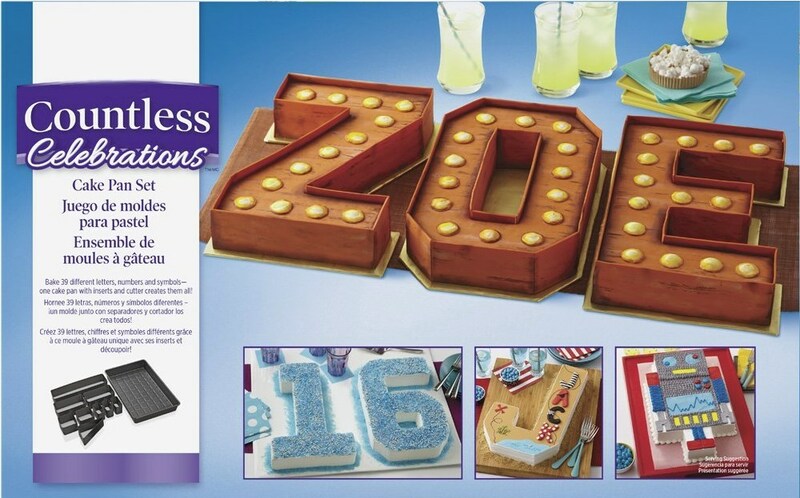 This 11.5″ x 20″ cutting board features a 2-1/2 quart strainer that is removable and collapsible for easy storage. Perfect for cleaning and chopping fruits and vegetables. 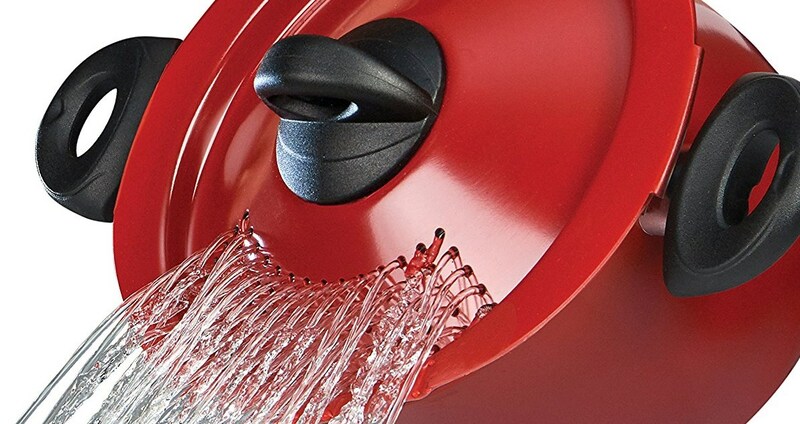 The removable basket can be used separately as a colander. Why still live in the dark times? 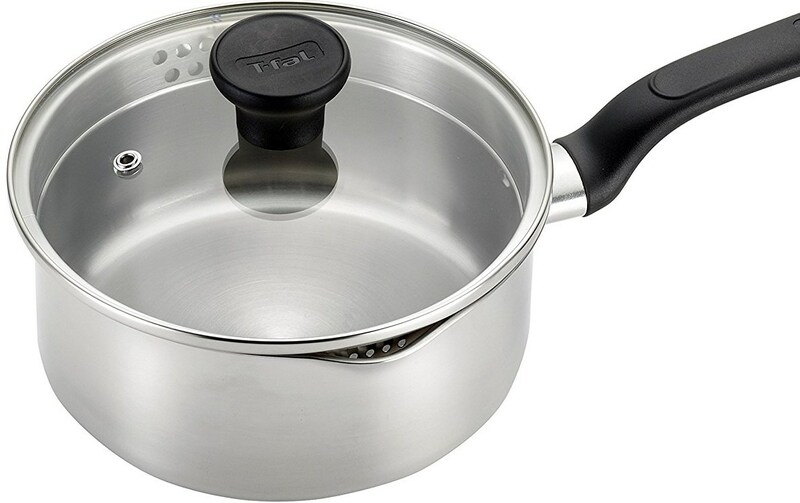 It is time for you finally to get a pot with a straining lid! Still not convinced by the previous stainless steel pot – just look at this marvelous oval Past Pot design accommodating noodles without breakage! You don’t want your noodles to be served broken, do you? Measuring portions is important. Don’t forget about the small hole on the left side – this should be your ultimate goal.